Malabar Dum is a South Indian, Sri Lankan and Indo-Chinese Takeaway based on 111 Turnpike Lane in London. 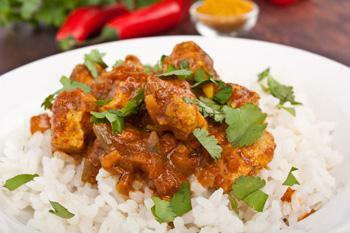 We serve a wide range of delicious South Indian, Sri Lankan and Indo-Chinese food and offer online ordering. We offer the unique and traditional mouth watering South Indian,Sri Lankan and Indo Chinese food. We are also Woking in partnership with The community Hub Haringey (a non profiting organisation)to support one of their vision.We are offering meals on Wheels for local people who needs healthier food on a daily basis.For more details please contact us. Malabar cuisine refers to the distinct cuisine from North Kerala, that has blended in Arabian, Persian, Indian and European styles of cooking as a result of its long history as a maritime trading post. ‘Dum’ Refers to the cooking method of Biriyani where meat or vegetables are layered with rice and steamed together until they are both cooked to perfection. Miniumum order value of £20. Can only be used on www.malabardum.co.uk. Cannot be used in conjunction with any other offer. Can only be used on www.malabardum.co.uk. Cannot be used in conjunction with any other offer. Chicken Cooked In Rich, Creamy And Aromatic Gravy Made Of Butter, Tomato And Cashew Nuts. Tender Chicken Cooked In Roasted Coconut Sauce With Tomatoes, Spices & Curry Leaves. A Must Have From The Malabar Coast. 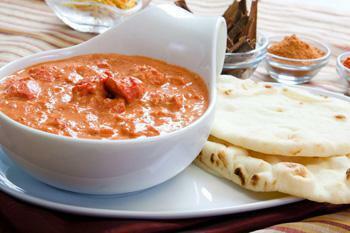 Indian Cottage Cheese Cooked In Rich, Creamy And Aromatic Gravy Made Of Butter, Tomato And Cashew Nuts. Spinach, Broccoli And Kale Stir Fried With Onion, Garlic, Cumin And Coconut. A Traditional Way Of Cooking From Malabar Coast, Lamb Cooked With Roasted Coconut, Ginger, Garlic, Spices & Curry Leaves. A Variety Of Lentils Cooked With Spices And Seasoned With Shallot Onions, Mustard Seeds And Curry Leaves. Crispy Pancake Made With Mixture Of Rice & Lentil Flour, Filled With Specially Prepared Potato Served With Sambar & Coconut Chutney. Tender Chicken Cubes Cooked In Mild Creamy Sauce With Cashew Nuts. Here at Malabar Dum a South Indian, Sri Lankan and Indo-Chinese Takeaway in London, we have a wide range of menu options. Serving delicious South Indian, Sri Lankan and Indo-Chinese food, we are sure we have something for you to enjoy. very nice and tasty food and freshly made. Chili paneer, crispy and perfect. Masala dosa, potatoes soft rich well flavoured. Try this! Amazing service. Authentic South Indian food. The best Indian restaurant food I had during my stay in London.